If you are easily fatigued, get dizzy or short of breath easily, have difficulty sleeping, or get an unusually rapid heartbeat when exercising you may be showing symptoms of anemia, a disorder that affects those who don’t have enough red blood cells (hemoglobin) to carry oxygen throughout the body. 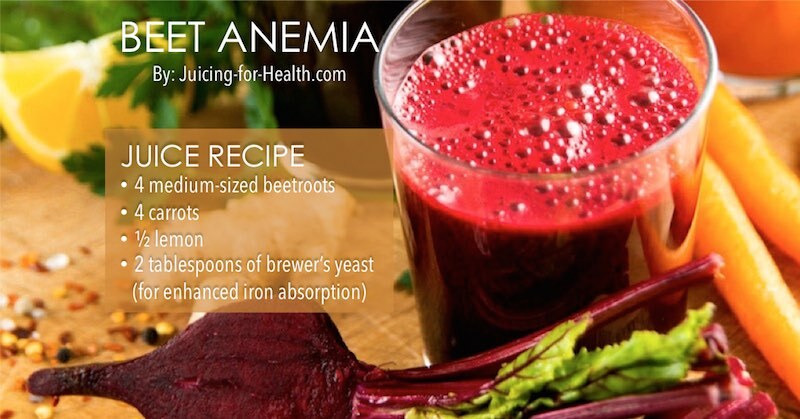 In an anemic condition, there is a lack of hemoglobin, the protein that gives the red color, but for the most part, anemia is caused by iron deficiency. 1 in 10 teenage girls suffer from anemia due to their monthly blood loss and not eating the right blood-building foods. This juice has an incredible amount of iron. For best iron absorption, there should be presence of vitamin C and that is plentiful in this combo. Wash your ingredients well. Cut the beetroots and radishes into small pieces and feed all ingredients through the juicer. The strong taste is telling as to how strong this juice will be against anemia. Parsley is high in iron content, and when combined with lemon juice will be easily absorbed. 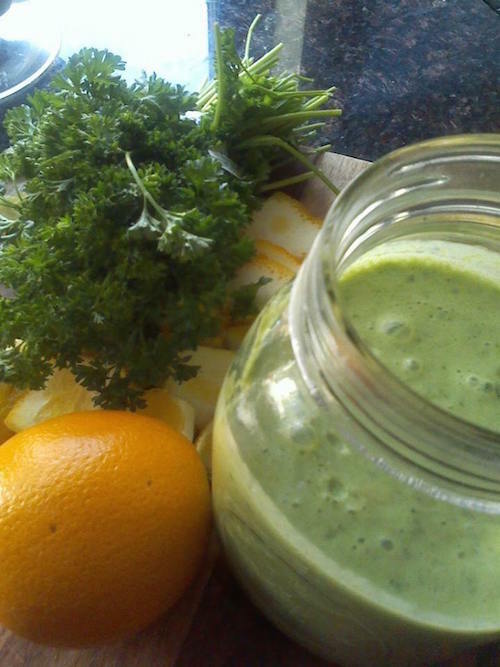 Drink this juice at least 30 minutes before meal. Great post! Thank you so much for the information. With this post, I just confirmed that I am positive on anemia. Despite what I know, I’m still thankful for the 3 easy juice treatment you’ve shared. This article is very helpful. Keep on posting informative and helpful articles. Thanks! You could also be anemic as a symptom of cancer. My hemo count was 4. It should be between 12-14 for a female. So, I only had about a third of the oxygen carrying cells coursing through my blood. Endemetrial Adenocarcinoma was the reason. No amount of food or juice would have changed this. Juicing is great but not always a cure!